Thanks for your interest in training with me! I'm a Nationally Certified Trainer based in LoDo, Denver. 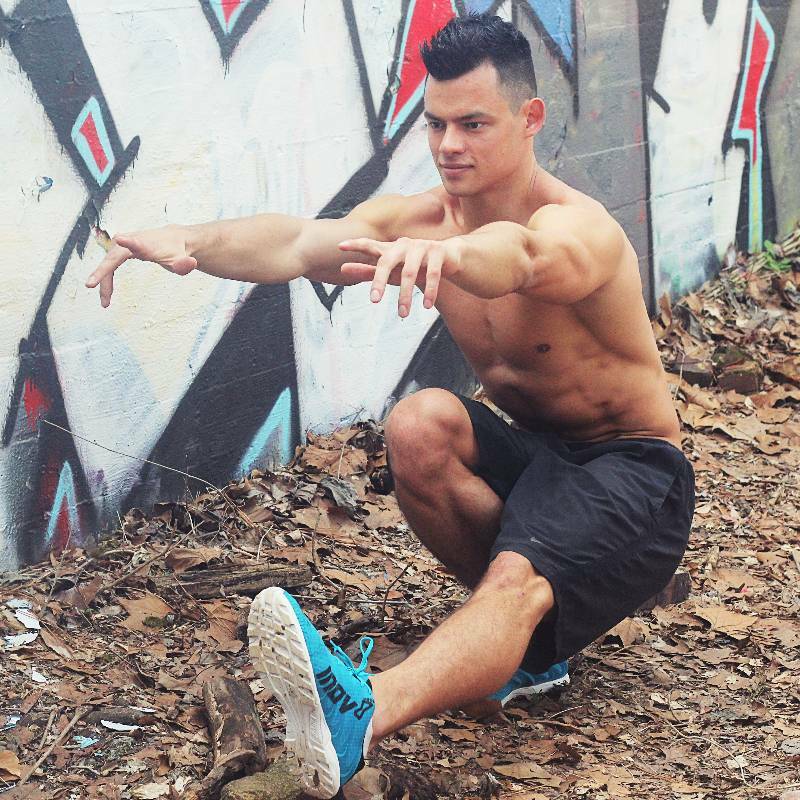 My training methods have a big emphasis on progressive calisthenics (bodyweight training). Accordingly, my program design is built on a principle of increasing strength and skill level that results in dramatic improvement in body composition when combined with proper nutrition. I have attained 13 various fitness certifications, and have attended dozens of advanced fitness workshops and seminars with some of the best strength coaches in the world. I'm constantly studying and reading about new advances in fitness to incorporate into my training methods. Expect me to be on time, with your program already designed on my tablet and with my phone put far away. I'll motivate and guide you every minute of your session. I motivate my clients when they are struggling, but I don't ever yell at my clients. We'll be training with a laser focus on your goals until we reach them. It will be challenging, we will have fun with it and every session will make you feel great about your progress! Sessions will be conducted from an established gym in LoDo (NO MEMBERSHIP FEES). Working with Alex has been a life changing experience. He is organized, professional, and responsive to client needs. He responds timely and is flexible with scheduling. Not only does he demonstrate his advanced knowledge of personal training, he is able to develop a plan specifically designed to meet your personal goals. At the end of a session with Alex you feel as if you have accomplished more than you could have imagined. I highly recommend hiring Alex. My time working out with Alex is always a blast. He's a very friendly person who will likely have a bigger desire to see you in shape than you do yourself which is very motivating for me personally. Alex does a great job of recognizing what your workouts needs and adjusting the program and pace accordingly so that you can get the best workout you can without debilitating yourself. I find myself never questioning what exercise we're doing because I trust that Alex is keeping my goals in mind. Be up front with Alex about what you want out of the sessions, and he'll tell you what it takes. How fast you get the results depends on you though but Alex will match you every step of the way. Alex is great! He's kind, understanding, and patient. His workouts are new and different he does strictly body weight which really work all areas of the body and its fun and challenging. He responds to every question and is never condescending. I would recommend him to anyone! I have had the pleasure of working with Alex in person and online! During our 2 months together in person, he was extremely encouraging and really accommodating. He created work out plans that worked with my body and helped achieve the results that I wanted! Not only did I lose 10 pounds, but I also lost 6% body fat! Due to work reasons, I was no longer able to go weekly so we have been working with online training to maintain and continue my weight loss and muscle gain! I wholeheartedly recommend Alex for personal training and I hope you get to enjoy the same training I have! Thanks so much Alex! I can't say well enough of my experience with Alex so far. He is one of the most professional persons I had the pleasure to work with, precise, empathic and, what I appreciate the most, he loves his job and wants the best for his clients. My goal is to make physical activity a routine in my life and right now this is working perfectly: I can't wait for my sessions! As if that weren't enough, conversation is great :) Thanks Alex! Alex is a really great trainer, he knows how to work your individual body and achieve results. He has the right amount of patience but also pushes you to your limits. I am pregnant and he has been a great help in finding exercises I can do comfortably! Looking forward to how we tackle my recovery period! Thanks Alex. What can one say about Alex as a personal trainer?...well...the best way I could put it is to explain how he is as a person in general. He is kind, compassionate, caring, and trustworthy. He wants you to succeed, just put in your part of the effort and he will put in his! I recommend Alex to anybody looking to get fit with somebody that will push you in a way that makes you feel like he’s an older brother that isn’t even getting paid to do this...it feels like he does it because he genuinely loves helping others achieve what they deemed impossible. While I am still a work in progress, I do feel some changes already and it’s only been a month! Thank you Alex! ?????????? Alex is an outstanding personal trainer and a great guy as well. He is very immersed in his craft and thus is full of helpful knowledge and true understanding of the methodologies most suited for any particular result. He will challenge you and push you out of your comfort zone and you will be a better person for it. He is very attentive to his clients, organized and professional. In addition, he has various training options suited for any budget or schedule. I highly recommend Alex to anyone looking to get in shape or accomplish their fitness goals. Working with Alex has been excellent. He is knowledgeable and a pleasure to work with. He is very thoughtful; analyzing not only my exercises, but also making sure I'm eating properly and sleeping well (which I hadn't been doing!). He really works on the entire body. Having never done an exercise program before, I was nervous about the work load, but Alex made it manageable and enjoyable. Alex Ceban has been invaluable to me as I have set some lofty physical fitness goals for 2017. His training is top notch, and I was able to do my first pistol squat due to his tutulage. As long as I reside in Atlanta, I will always be a client of Alex. I have had the privilege to be coached weekly by Alex for the past 18 months. As a 70 year old retired army veteran who was once in great physical shape my daughter worried when my physical shape dropped and my weight upped. My daughter found Alex and offered his services as a birthday gift for me. That birthday gift has been a gift that has kept on giving since March 2016. Over the past 18 months no miracles, no radical loss of weight yet my life style has changed, My diet has changed with more vegetables, fruits, less carbs, sweets. fats moving from daily consumption of alcohol to occasional celebratory episodes of social imbibing. Net result over the months has been 30 pounds weight loss and stable. My blood pressure has been stabile as I continue to be pre-diabetic without medication with diet and daily blood monitoring. Billing for Alex's services has been user friendly as we buy a package of sessions. He is diligent in monitoring our accounting when there is a gap in payments he is pro-active in working out payment for the next series of sessions including a break in sessions without penalty and conflict. Being on a fixed income I would have not been so diligent in maintaining my 18 month contractual relationship with Alex if our financial relationship were not so user friendly. Coach Alex has a progressive vision in directing specific training goals based on physiology, expressed needs, with out regards to gender and perceived age. Coach is amazing in his sensitivity to individual safety and comfort well being. He has helped me to accept my physical limitations as I grow older. He is wise for a person so young. I have not researched his academic pedigree yet every session I have learned more about taking better care of myself. Yes there are sessions when I know that I have been safely pushed to another level of physical accomplishment. Such feeling of accomplishment does not create chest beating as it once did. In the end Alex has shown me how I have progressed over the years by how I feel and have seen the results in weight control, stable blood pressure and blood sugar levels. Those observable data points is enough to recommend Alex Ceban as a trainer for all ages and genders without going into his most effectively personable nurturing coaching style. When picking a trainer, you want someone who will give you that tough love, right? Like you are paying someone to help you get progress, and that only happens if you change something about your life. But also, it can be super intimidating to work out with a trainer. Maybe he has a perfect body, and you don't see yourself being able to achieve what he has. Or maybe you worry that he will judge you because your schedule, diet, and form aren't perfect. So about Alex... First of all, he is probably the nicest person I have ever met. Like really nice. My mom is a really nice person, and I think Alex is even nicer than her. Working with Alex was the FIRST TIME I felt like I was actually getting a crap ton of value from sessions with a personal trainer. So he is super nice, but also he wants me to see progress in working with him. He provides that tough love I am paying him for. From our initial meeting to our last session, I never once felt judged. I always felt like Alex had a genuine passion to help me transform. When I told him I followed a strict paleo diet, he kindly suggested I try eating a plant-based diet, but he didn't judge me. And ya know what? I now eat a crap ton of plants, and I have never felt better. When I told him that sometimes I binged on the weekends, and I thought that might be ruining my progress, he kindly suggested I stop and stay focused on my goal. Sometimes we think we need someone to coddle us, but sometimes we just need someone to be matter of fact and help us put the kabash on the drama we add to our life. In case this isn't clear in my review, I am a female, and yes, I responded well when he told me to stop with the binge eating on weekends. I don't binge on junk food anymore. I wanted to achieve the goal I was working on with Alex! And I realized that I could keep paying him and sabotaging myself, or I could keep paying him and listen and DO the things he was telling me. When I told him that another trainer told me my legs were the size they were and would never change, Alex and I talked about different body types but also that through hard work, we actually can change our bodies. My stubborn legs stayed the same size for a long time, but I am down from a size 12 pants into my dream size 6 pants. Alex is extremely knowledgeable about exercise, form, and doing good for us things for our bodies. He is organized and takes time creating his programs. I've worked out with trainers before who just make things up on the fly! Not Alex. Everything is planned out and follows a systematic approach, but he also adjusts based on what I am capable of doing. He modifies things so that I can do the move and then continue to progress to better form and harder moves. He takes the time to follow-up with clients. He made me feel strong and empowered. I've never felt that way from a trainer before. I've always just gone to a trainer just to lose weight, but I actually felt empowered to change my life from my sessions with Alex. When I was first working out with Alex, I was leaving my teaching job and basically unemployed. I didn't have a ton of extra money to spend, but I still feel like the money I have spent to work out with Alex was the best money I ever spent to change my life. I am in the best shape I have ever been. I have a system of eating that makes me FEEL amazing and doesn't feel like a diet. I seriously love plants so much, and he helped me stop being afraid of carbs! Like what? I can eat carbs and not be a bad person? Sign me up. I am in the smallest pant size I have ever been which feels flipping phenomenal. And I feel strong and empowered. And he helped me do all this with kind but tough love. I've been working with Alex for about 4 months, and I can honestly say its been an absolute fantastic experience. He's both extremely punctual and flexible, this guy pushes you to the limit every session! I had gone to other gyms in the past, but never worked with a personal trainer before. Alex made the transition super smooth, starting out by getting to know my goals(both short and long term) and delivered a comprehensive strategy to meet those goals. Being a little nervous at first, I started out with Alex once a week, but because of his work ethic and depth of knowledge of all the different muscle groups in the body, I changed it to twice a week instead. My girlfriend is shocked at the results i've had in such a short amount of time. Definitely go with Alex, you won't be disappointed. I let myself go and wanted to loose some weight and gain some muscle so I started working out with Alex. It was the best decision I could have made! I was really intimidated by the thought of not knowing how to work out, not knowing what to eat, and the prospect that I would not be very good at any of it. Alex was very patient with me in listening to why I wanted to start working out and the issues with self confidence I had about looking like a fool in the gym. After our initial workout to see if we would be a good fit, he came up with a plan on how to tackle my fears and laid it all out on how I can loose weight, integrate the correct nutrition into my diet, slowly get my body into gaining muscle from progressive body weight training, and to give me my self confidence back. He comes up with a plan before I arrive and shares it with me weekly so I can mentally prepare, he tracks my weight weekly to keep me on track, and he provides honest and compassionate feedback about my progress. He truly does care about my progress, and when we are training, I feel he is 100% dedicated to me during our time together. He is super easy to get ahold of and is very responsive when I have questions or issues. I have hit my target weight in 2 1/2 months and I have never felt better. I do plan on still working out with Alex as now that I have got the nutrition as a routine, I have lost my body fat, I am now ready to bulk up with some muscle for definition. I really like that we tackled small goals at first, it was much less intimidating then trying to do everything all at once, I think I would have failed if I did not have Alex's guidance and continuing education. He taught me so much that I can not think him enough for giving me a new perspective on life, it really was a total transformation, and it all started with the first call to Alex. Thank You!! I trained with Alex for about one year. My goal was to lose 20 pounds and Alex helped me beat that; he even motivated me to run my first 5k! He is kind and was very accommodating to my busy schedule. What really put my results over the top was his focus on diet. His focus on healthy eating took me to another level of success, and it required little effort. Nothing I accomplished would have been possible without Alex's training and guidance. You'd be lucky to work with him! I met with several other trainers before finding Alex and I am SO HAPPY I found him! I have been training with Alex for 3 months now and the results have been noting short of life changing. I am stronger, leaner and most importantly—pain free. I have been going to physical therapy for years as a result of surgeries and movement dysfunction and Alex’s style of bodyweight training completely eliminate all of my pain. This is the best I have felt in my body in years—thanks Alex! Alex definitely knows his stuff, went there to work strictly on core to help my existing back issues and haven't felt this good in a while! Would definitely recommend! I came to Alex 3 months ago with several goals in mind that I have been wanting to accomplish. From the first meeting, to the next, Alex has always been prepared, on time, flexible to my schedule and understanding. As for the training, I am incredibly excited with my accomplishments and the progress I’ve made so far in such a short amount of time. He progresses you appropriately, pushes and encourages you and is constantly attentive to your form to ensure you’re doing it correctly. I was only here for a short time and I’m incredibly bummed to not be able to train in person- definitely would recommend training with him! Alex is extremely knowledgable, always on time, and truly cares about his clients. I started training with him back in October and have seen noticeable improvements since. I continue to be challenged with my workouts and have really enjoyed the bodyweight only training method. 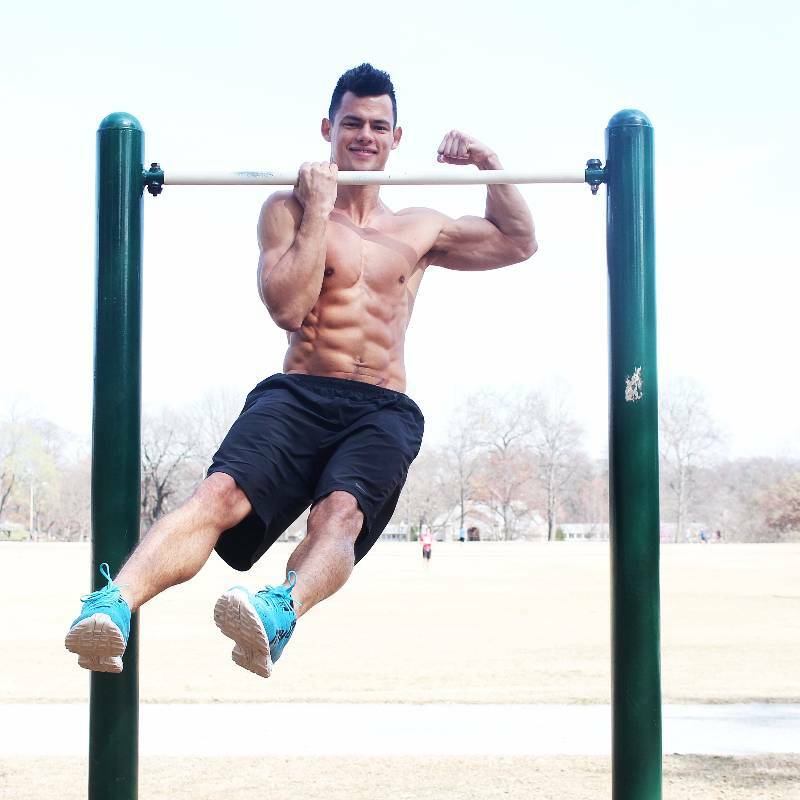 Being able to push your body through progressive calisthenics is definitely more rewarding. Overall, I highly recommend Alex and look forward to continue working with him!